DEACS's Environmental Assistance Section has staff in DEQ's Asheville Regional Office to serve citizens and businesses throughout the western 19 counties of North Carolina. 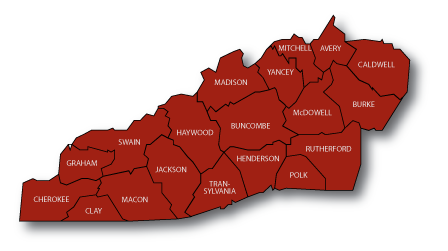 Along with environmental assistance coordinators in our other regional offices, DEACS staff cover the entire state and are available to help with your environmental concerns or questions. Express permitting option for quicker permit reviews. Options available are: Erosion and Sedimentation Control. Water Supply Watershed Map (interactive web-based map to help determine if your project is located in a water supply watershed) Always contact your local government to verify current boundaries and classifications of water supply watershed areas. For more information visit the Asheville Regional Office main page.